Click here for full text of the agreement. The Public Service Stability Agreement (PSSA) governs pay and related matters (including the former ‘pension levy’) for virtually all civil and public servants, as well as staff in non-commercial semi-state organisations and ‘section 38’ agencies where pay scales follow the public service. It came into force in January 2018 following its acceptance by a majority of public service unions, including the three unions that later amalgamated to create Fórsa. It runs until 31st December 2020. 31st December 2020: Agreement concludes. The combination of pay and ‘additional superannuation contribution’ adjustments are worth between 6.6% and 6.9% to those earning between €55,000 and €80,000 a year. Two outstanding ‘additional superannuation contribution’ (formerly ‘pension levy’) anomalies are being resolved under the PSSA. From January 2019, staff who joined the civil and public service after January 2013, and who are in the single public service pension scheme introduced at that time, pay only two-thirds of the additional contribution rate. This figure will fall to one-third from January 2020. This reflects the fact that the benefits of the single scheme are different to those in the older scheme. Also, from January 2019 the ‘additional superannuation contribution’ is no longer payable on any non-pensionable elements of civil and public service incomes, including non-pensionable overtime payments. The term ‘new entrants’ refers to people who started work in the civil and public service (and organisations linked to it for pay purposes) after 2011, when inferior pay scales for new staff were imposed by the Government without agreement. Although those inferior scales (worth 10% less at every point of each scale) were abolished at unions’ insistence under the 2013 Haddington Road agreement, ‘new entrants’ continued to have longer pay scales than their longer-serving colleagues, with two lower pay points at the beginning of each scale. Some grades also saw the abolition of certain allowances for new entrants. The PSSA established a process involving the Public Service Pay Commission (PSPC) which, following detailed discussions and inputs from Fórsa and other unions, resulted in a solution of the pay scale issue in 2018. This was at least two years earlier than the PSSA originally provided for. Under these measures, ‘new entrants’ will skip two points – the fourth and eighth – on each pay scale. Fórsa welcomed this outcome because it ensures a fair outcome for ‘new entrants’ regardless of their length of service. You can get more details here. Although there is no general reduction in working hours under the PSSA, the agreement gave staff the option of a permanent return to ‘pre-Haddington Road’ hours on the basis of a pro-rata pay adjustment. Staff were able to opt into this arrangement at the beginning of the agreement (January-April 2018) and can do so for a period after it expires (January-April 2021). The agreement also contains a provision to enable annual leave to be converted into flexitime. Although these two provisions fall far short of the restoration of additional hours introduced for some civil and public servants under the 2013 Haddington Road agreement, they do give options to staff for whom time is more important than money. They were the best that could be achieved through negotiations. Under the agreement, unions could opt to make submissions to the Public Service Pay Commission (PSPC) on recruitment and retention issues identified in its original 2017 report, which preceded talks that led to the PSSA. Fórsa has made submissions for its grades cited in the report. The Commission is to analyse the causes of the problems in each specific area and recommend options to deal with them. So far, the Commission has looked at nursing, medical consultants and some military grades. 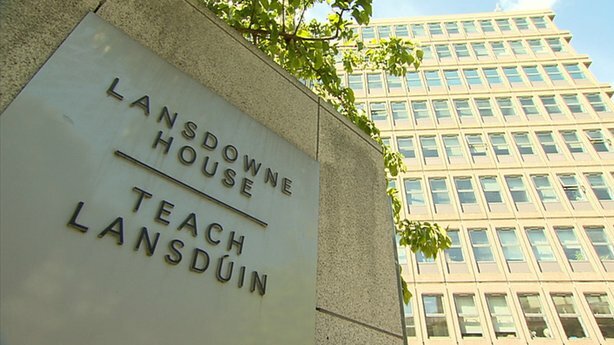 Despite management attempts to water them down substantially, the PSSA retains all the outsourcing protections that unions won in negotiations that led to the earlier Croke Park (2010) and Haddington Road (2013) agreements. The agreement also requires management to engage with unions with a view to minimising the use of agency staff. And it includes safeguards over the use of internships, clinical placements, work experience, and job activation measures, saying there must be “agreement on protocols” regarding such programmes. The PSSA commits management to ensure that work-life balance arrangements (including flexible working) are available to the greatest possible extent across the civil and public service. It says disputes on local and sectoral implementation of work-life balance arrangements can be processed through normal disputes resolution processes. And it says management in each sector must monitor progress on gender balance in career progression. The PSSA acknowledges barriers to mobility in the civil and public service and contains a commitment to a review of the current arrangements on starting pay on transfer and promotion. As with all previous public service agreements, industrial action is ruled out in situations where the employer is abiding by the agreement. The agreement includes a binding process for dealing with problems that arise without recourse to industrial action. These restrictions do not extend to matters not covered by the agreement. This document is a summary of the main elements of the Public Service Stability Agreement (PSSA). The agreement itself is more comprehensive and, on some issues, contains more detail than is reflected here. Readers are advised to refer to the final text of the full agreement for more information.